Welcome to SitcomsOnline Digest! Sadly, this week has been a busy week with deaths of TV stars and producers, and we're covering three of those today (not counting Garry Shandling, who was covered yesterday). We've also got some renewals from Fox, and more. Let's get going! It was over a half decade ago (very near the beginning of Warner Archive) when it was announced that The New Adventures of Gilligan's Island (the animated spinoff of the classic series) would be released on DVD. We've been waiting for a long time, long enough that we assumed it was abandoned, but this week TVShowsOnDVD.com revealed that the wait will finally end on April 26. 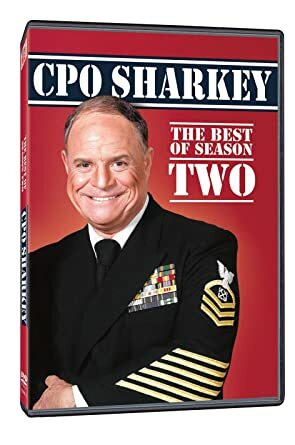 CPO Sharkey - The Best of Season Two (DVD, $12.95): Though we'd recommend splurging for a few extra dollars and going with the previously released complete second season in CPO Sharkey - The Complete Season Two, this option is available for those who just want the best episodes. Who to Follow: Will Friedle (Twitter), "Actor (with my voice and sometimes my face), Writer, Panic-Attacker, Proffessionull Speller and Inventor of the Harpsichord (that last one was just a lie)"
Claim to Fame: We have another Boy Meets World star this week, and it is Will Friedle, who played Eric Matthews on the series. That series was his first regular series role, and as far as appearing on camera, it was really his last regular screen appearance (he has had guest roles here and there, including on Girl Meets World). He also appeared in the (very) short-lived NBC series Go Fish in 2001. However, don't be fooled: though he hasn't had many screen appearances, he has been very busy with voice work. He has had regular roles in many cartoons beginning in 1999, as the role of Batman in Batman Beyond. He followed that up with a regular role in Kim Possible. Today, he appears in numerous animated series on a regular basis.